Home wifi is pretty much necessary these days, but that doesn’t mean you have to pay through the nose in order to enjoy it! In just 20 years, wireless in-home internet has gone from a rarity to basically everywhere. Great! Yet another bill you have to pay every month! Of course, you could just not have home wifi, sure. Sure, and you could also drive to work on a whale-oil-powered penny-farthing bicycle. It’s just not gonna happen! Instead, you should focus your efforts on cutting down the cost of your home wifi. Here are some great tips from real industry and personal finance experts to help you save money on your wifi bill. 1. Don’t rent a modem; buy one. One of the best ways to save money on anything is to try and negotiate a lower bill—and wireless internet is no exception. “Some of the smaller players in the ISP industry may be willing to actively negotiate your monthly payment as they fight for market share among internet consumers,” said Huber. And if you’re not the world’s greatest negotiator, you could always let someone else negotiate on your behalf! Personal finance blogger Marc Andre of VitalDollar.com (@vital_dollar) recommended services like Trim and BillCutterz that work to negotiate your bill for you. “If they are able to lower your bill, they will keep a percentage of the saving. If they can’t lower your bill, you pay nothing. It’s possibly the easiest way to save,” he said. Sure, you’ll save more if you’re able to negotiate your bill down on your own, but smaller savings are better than none at all! 3. Monitor your data usage. And, as it turns out, one of the best ways to less for something is to simply use less of it. “Major ISPs (internet service providers) will provide usage statistics, both on your bill and their respective online dashboards, which can help you adjust your plan needs accordingly,” said Huber. For folks who keep their internet usage pretty light, Andre recommended FreedomPop, which offers free mobile phone and high-speed internet service. “The free plan is limited to 500 MB per month, but if you don’t use the internet a lot it can be a great option,” he said. This is another piece of advice that applies across the board. The more you shop around with any kind of major purchase, the more likely you are to find the most affordable option. Getting a solid grasp on what service providers cover your area and what kinds of prices they’re charging will not only help you find the best deal—it can also help you negotiate. To aid you in the search, you could use a free online comparison engine like Wirefly.com (@Wirefly), which helps people shop for the best price on monthly services like internet and cell service, insurance plans, cable, etc. According to Wirefly President Logan Abbot, the average Wirefly user saves 30 percent on their wireless bill by switching their plan to another provider. 5. Play the long game. When deciding on a wireless provider, you have to look beyond the short-term. A given wifi plan could end up saving you money now but costing you an arm and a leg down the road. “Short term promotions can be incredibly enticing when it comes to signing up for a new internet service provider, but as the Latin phrase caveat emptor suggests, let the buyer beware,” said Huber. So what happens if your rates all of a sudden go up? See tip #2 for more details. What are you going to do with that money you save? Once you’ve successfully secured a lower rate on your wireless bill, you should make sure that extra money doesn’t go to waste. Even if you use that money to splurge on an extra special dinner or date night, at least you’d be using it for something instead of just frittering it away. Here’s our suggestion: Use it to build up a $1,000 emergency fund to help cover surprise expenses. That way, you won’t have to rely on predatory bad credit loans and no credit check loans (like payday loans, cash advances, and title loans) when an unexpected medical expense or car bill rears its ugly head. What are your best strategies for lowering your wifi bill? Let us know! You can find us on Facebook and Twitter. Logan Abbott is an Internet entrepreneur, tech, and personal finance expert. Logan is the President of Wirefly.com (@Wirefly), the leading smartphone and cell phone comparison site on the web. Wirefly features a comparison shopping engine for mobile phones, cell phone plans, phone service, Internet, insurance, banking, and more, which helps the average Wirefly user save 30% by switching services. In his spare time, Logan enjoys reading, coding, kitesurfing, and gaming. 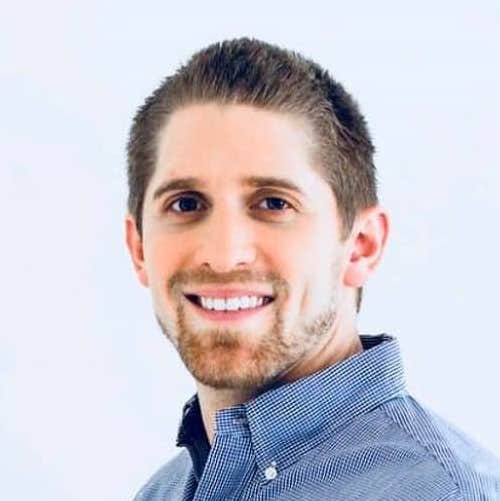 Marc Andre is a personal finance blogger at VitalDollar.com (@vital_dollar), where he writes about saving money, managing money, and ways to make more money. His goal with Vital Dollar is to help individuals and families get the most out of the money they have and to reach their full financial potential. He lives in Pennsylvania with his wife and their two kids (a son and a daughter). Ben Huber is a personal finance writer at, and the co-owner of, DollarSprout.com (@dollarsproutblog), a leading resource in helping millennials make and manage financial decisions. A consumer spending and behavioral economics expert, he helps young adults make the most of their hard earned money. When he isn’t writing or attending Pittsburgh Penguins hockey games, he’s almost certainly at the gym lifting weights and trying to impress strangers. You can follow him on Twitter @vtgrad2010 for more money-saving tips.